OTTAWA – New and supplementary evidence from former attorney general Jody Wilson-Raybould regarding the SNC-Lavalin scandal is set to be made public Friday. These additional documents include a new written statement, as well as copies of emails and text messages currently in the hands of the House Justice Committee that had been studying the SNC-Lavalin affair. The Liberal MP is providing this evidence to further bolster the testimony she gave to the committee on Feb. 27. In that testimony Wilson-Raybould detailed what she considered to be high-level "veiled threats" and political interference in an effort to have her instruct federal prosecutors to drop the criminal prosecution of the Quebec construction and engineering giant and pursue a remediation agreement instead. "For a period of approximately four months, between September and December of 2018, I experienced a consistent and sustained effort by many people within the government to seek to politically interfere in the exercise of prosecutorial discretion in my role of Attorney General of Canada, in an inappropriate effort to secure a prosecution agreement with SNC-Lavalin," she testified. Wilson-Raybould said she was consistently reminded of the potential political implications in Quebec, should SNC-Lavalin be found guilty in the case and therefore possibly no longer be able to apply for federal contracts, leading to the company moving out of Canada. She offered an in-depth account of approximately 20 exchanges --10 phone calls and 10 meetings -- specifically on the SNC-Lavalin case while she was still attorney general and justice minister. She also worked through a chronology of communications, ranging from in-person meetings and phone calls, to text messages and emails, from 11 senior staffers from the Prime Minister's Office, Privy Council Office and the finance minister's office. Since her testimony, Prime Minister Justin Trudeau has faced calls to resign, the House of Commons agenda has been largely usurped by opposition-prompted procedural moves, and several other high-profile officials have resigned amid insistence that nothing improper occurred. The opposition wanted to invite Wilson-Raybould back to testify again -- something she was open to -- but Liberal MPs on the House Justice Committee shut down the study saying that they’d heard all they needed to. The evidence is expected to include physical copies of texts and emails she referenced during her initial testimony, as well as her rebuttal to the contradicting stories that others have offered since her appearance a month ago. "I also have relevant facts and evidence in my possession that further clarify statements I made and elucidate the accuracy and nature of statements by witnesses in testimony that came after my Committee appearance," Wilson-Raybould wrote in her letter informing the committee that she’d be offering up more information. Throughout her testimony, she cautioned there were limitations in her ability to speak broadly about the case because of the specifics of the waiver of solicitor-client privilege and cabinet confidence that Trudeau had issued. Whatever she has handed over to the committee is expected to stay within the lines of what is permitted in the waiver, which includes any relevant information related to the case against SNC-Lavalin over her years-long tenure as attorney general. Chair of the committee Anthony Housefather has said that the evidence will be made public at 3 p.m. on Friday, after it is translated and redacted for any personal information, like phone numbers or private email addresses. In advance of this new evidence, here's CTVNews.ca's summary of the key aspects of what Wilson-Raybould said during her hours-long Feb. 27 testimony, and subsequent counter testimonies or statements that offer the government’s perspective on these interactions or situations. 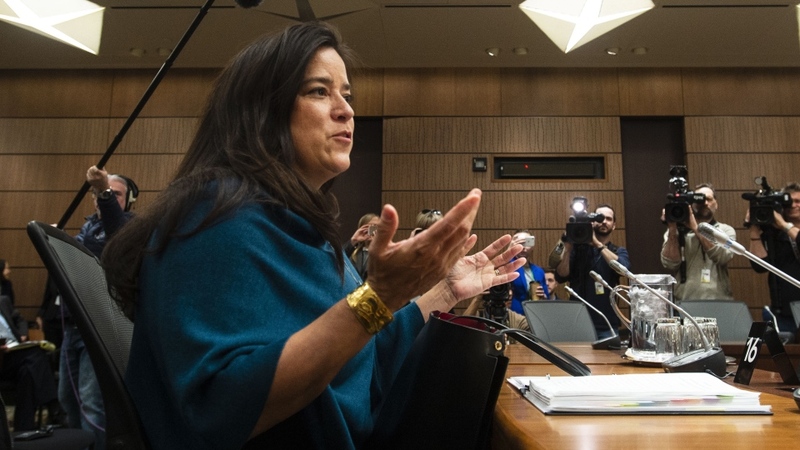 Wilson-Raybould said she took issue with government officials suggesting that she should seek an external review by a legal expert to weigh in on whether or not the government should pursue a deferred prosecution agreement in the SNC-Lavalin case. She alleged that senior officials told her they would provide cover for her, such as favorable op-eds from friendly legal voices, if she went ahead with it. Gerald Butts, the former principal secretary in the Prime Minister’s Office, defended the idea of an external review during his two-hour follow-up testimony, saying that it would have been appropriate because it would have been the first time ever an agreement of this type was pursued in Canada. "We felt that outside advice was appropriate because of the extraordinary consequences of a conviction. The fact that the company involved employs so many people across the country heightened the public importance of the matter," Butts said. Wilson-Raybould said that "everyone was fully aware that I had made my decision," including the prime minister, in the fall. "I told Trudeau that I had done my due diligence and made up my mind on SNC and that I was not going to interfere with the decision of the DPP," she said. She also said that she had told Butts during a December meeting at the Chateau Laurier that she "needed everyone to stop talking to me about SNC as I had made up my mind and the engagements were inappropriate." Butts disputed this version of events during his March 6 testimony. 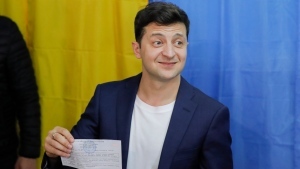 "I learned for the first time while watching the former attorney-general's testimony that she had made a final decision on the 16th of September. My understanding is that nobody in the PMO or PCO knew that at the time either." He also said as far as he was aware she had not communicated to anyone that the pressure was improper. More broadly, Butts also stated: "We did what any responsible government would, of any political stripe. We worked as hard as we could, strictly within the laws and conventions of the country, to protect thousands and thousands of Canadian jobs... I am firmly convinced that nothing happened here beyond the normal operations of government." Speaking about a text conversation she had with her then-chief of staff Jessica Prince about a meeting Prince had with Butts and Trudeau's Chief of Staff Katie Telford, Wilson-Raybould quoted her staffer as telling her that Butts had allegedly said: "Jess, there is no solution here that doesn't involve some interference." She said this exchange came after Prince was "urgently summoned" to meet with the pair. Butts disputed this characterization, saying that "there was no urgency to attend that meeting. … In any case, it was a brief meeting between staff, the kind which happens dozens of times a day, every day on Parliament Hill." He also said that the recounting of the exchange with Prince was taken out of context and that he had a "very different recollection of that meeting." During one conversation she had with the prime minister, Wilson-Raybould said she looked him "in the eye" and directly asked if he was politically interfering in her role, after he allegedly referenced being the MP for Papineau, Que. "The prime minister said, 'No, no, no, we just need to find a solution,'" Wilson-Raybould said. At a press conference 20 days later, Trudeau said that he did mention that he was the MP from Papineau, but that "it is our job as Parliamentarians to defend the interests of the communities we were elected to represent, to be the voice of those communities in Ottawa." In another exchange, Wilson-Raybould named Ben Chin, who is Finance Minister Bill Morneau’s chief of staff. She said that he spoke with Prince to say that extending a deferred prosecution agreement to SNC-Lavalin needed to happen out of fear the company would relocate. "In my view, these events constituted pressure," she told the committee. Morneau later defended his staff, saying they acted entirely appropriately and out of interest of jobs. "My staff, appropriately, would make her staff aware of the economic consequences of decisions," Morneau said. "I can't speak to her views, she has her opinion." 'Veiled threats' from PCO clerk? Wilson-Raybould referred to more "veiled threats" that came around Dec. 18 and 19, when she had a phone call with Privy Council Clerk Michael Wernick in which he sought to know whether her thinking had changed about pursuing a deferred prosecution agreement. She alleges that Wernick told her: "I think he is gonna find a way to get it done one way or another. So, he is in that kinda mood and I wanted you to be aware of that." In his second appearance before the House Justice Committee, Wernick denied ever making any threats in relation to Wilson-Raybould's handling of the criminal case. "The minister experienced lawful advocacy to consider doing something lawful in the public interest. I made no threats, veiled or otherwise, that the minister's decision would lead to consequences for her…It is my contention the minister was doing her job and I was doing mine," Wernick said. Wilson-Raybould told the committee that she believes she was shuffled out of her role as justice minister and attorney general because of her refusal to change her mind about the case, something she says Trudeau denied when she floated that view. She also alleged that days before the January cabinet shuffle, Wernick called her former deputy minister and said that one of the first conversations the new justice minister -- later named as Quebec MP David Lametti -- would be having in his new role was on the SNC-Lavalin file. Wilson-Raybould said that if he had gone through with a remediation agreement early in his mandate, she would have resigned from cabinet at that point. In contrast, Butts offered a different narrative around the January shuffle. "Neither her move from justice nor minister Lametti's move into it had anything whatsoever to do with SNC-Lavalin. So the plan was a simple one. Philpott to Treasury Board, Wilson-Raybould to Indigenous Services. … Then minister Wilson-Raybould did something I didn't expect. I had never seen anyone do it before, in many shuffles, over many years. The former Attorney-General turned down a Cabinet portfolio." Butts said that she couldn’t take the Indigenous services portfolio because she was opposed to the Indian Act, which ultimately prompted her being moved to veterans affairs instead.